The first in the Samurai Wars trilogy, this is a fresh and exciting action-packed novel from a first-time author. Featuring a rich variety of characters, with authentic voices and exciting superhero-like abilities, The Black Lotus is perfect for fans of Chris Bradford and Anthony Horowitz. A powerful new voice in children's fiction... I could almost hear the samurai swords swish. A confident and lively novel which moves easily across various settings and time zones, providing some excellently conceived scenes of high drama en route. Ninja fans and aficionados of martial arts are in for a treat here. A Ninja thriller which skips across time zones and continents at breathtaking speed. Kieran Fanning's debut piles on the giddy, crowd-pleasing thrills like presents under a Christmas tree. Crossing continents and centuries, the book moves with the urgency and momentum of an action movie... but it's really a story about friendship, loyalty and bravery. 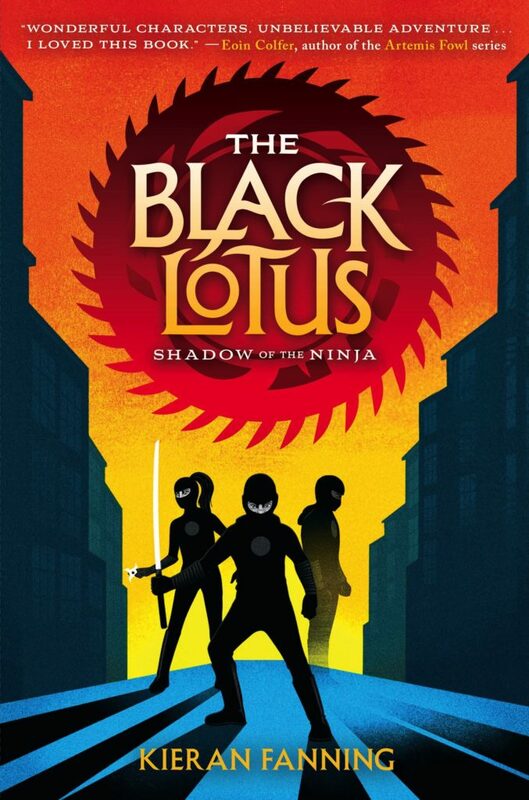 The Black Lotus presents an exciting, unfamiliar world of superpowers and super stealth... With some excellent world building, this book gets five out of five throwing stars for action and adventure.